All sockets are in, so I’m to chapter 2, step 10 of the assembly guide – the installation of the seventeen 0.1 µF decoupling capacitors. Here’s the problem: Unicorn shipped 1.0 µF caps. 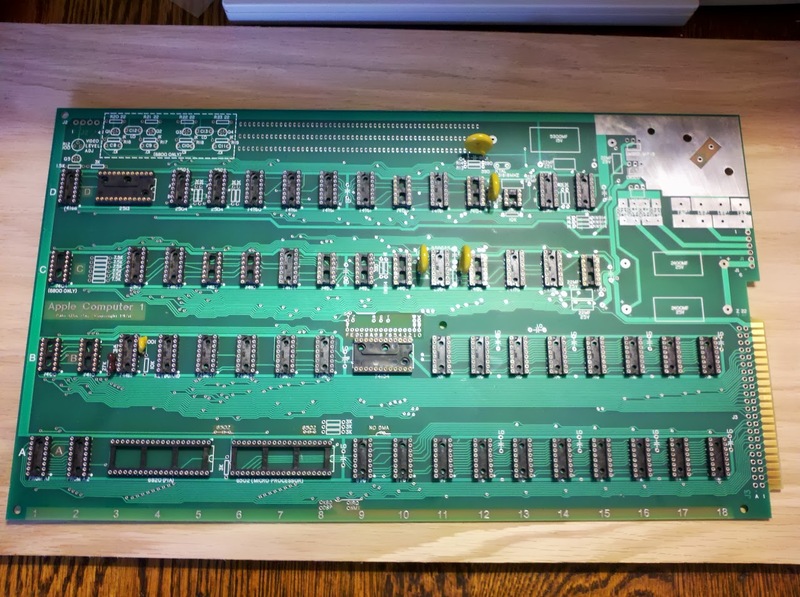 This matches the silkscreen on the PCB, but the Mimeo manual makes a point of mentioning that real Apple-1 computers used 0.1 µF instead. I could actually install the incorrect caps, and it’d probably be fine, but I’ll wait for Unicorn. In any case, step 11 (installing the other six small caps) isn’t actually dependent on step 10, so I went ahead and did it. The next step is another power/ground short check, and while I could easily continue on (really, if I wanted to, all the way to initial power-up, because the decoupling caps aren’t a factor until I start stuffing chips in), I figure it’s best to stop here, so I don’t deviate too far from the manual (and then have more work to do to diagnose a fault if I do mess up). Previous Post: And all the 16-pin sockets are in… that went faster than expected.